One Story,2 retail stores and private outdoor space.Lot size 30'X100'. Building size 2,400s.f. 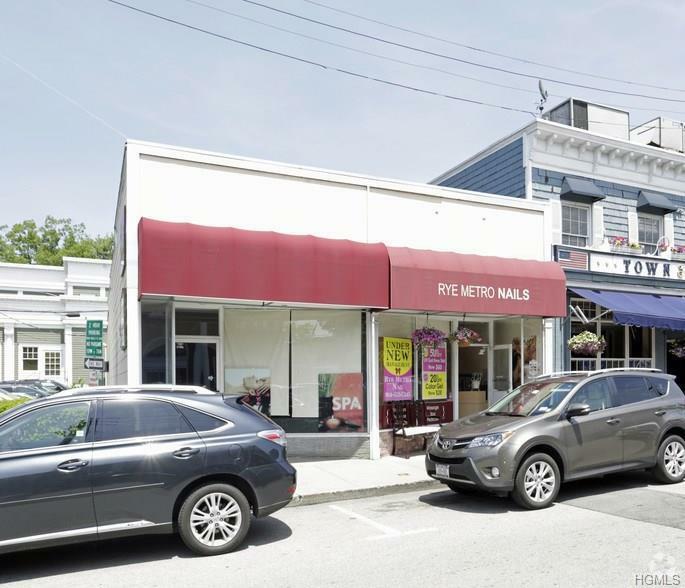 DEVELOPMENT OPPORTUNITY-2 additional stories of RESIDENTIAL possible.Highly visible RETAIL stores next to TOWN DOCK,SUNRISE PIZZA,RYE GRILL and RyeTrain. The city of Rye exudes a friendly, small town community feel. The downtown district with its quaint offshoot streets is charming and lined with a slew of unique boutiques and some outstanding culinary delights including but not limited to Aurora, Rubys Oyster House, Water Moon, Le Pain Quotidian, the beloved Frankie and Johnnys Steakhouse, Morgans Fish House, Patisserie Salzburg and a stellar local pizzeria. There is even a small, soda fountainesque, old- fashioned mom and pop type diner named Poppys. The wealthy community enjoys an average household income of $194,884 and an average housing value of $970,240, proving that Rye is a prosperous, convenient and premier destination for businesses and residents alike.